This past October, I read an article by Curtis C. Chin on “The New York Times” opinion page entitled, “It Can Be a Waste of Time”. Chin’s piece centers on the idea that study abroad should not be mandatory for all students, an idea that I agree with without any reservations. After all, to claim that individuals should be forced to do anything that they don’t feel would make them better, more intelligent, or more well-rounded citizens would be ludicrous. However, the article goes further and argues fiercely that study abroad programs should not receive a spot at the forefront of educational institutions. Mr. Chin states, “Studying abroad can be a nice “add on” in theory, but it also can be a waste of time, or simply a good time, for an unfocused – and privileged – high school or university student,” and goes on to say, “[…]Focusing our attention on what is offered in the classroom must take priority over advocating for study abroad programs.” The article, though well written and certainly containing many reasonable opinions, fails to take one very important element into consideration: students like me. I am not one of Mr. Chin’s “unfocused” or “privileged” students and I know I will never be, unless you’re speaking of privilege in the sense of “privileged to be blessed with so many wonderful experiences and fantastic people in my life” kind of privileged. Somehow, I get the distinct feeling that my better version (admit it, it’s true) of privileged was not what Mr. Chin was referring to in his article. In truth, I am, by the most standardized of definitions, a lower middle-class young woman from a small town who despises the idea of having anything given to me. I have college loans. I received scholarships and grants due to academic and extracurricular successes. I had, and still have, countless people in my life who believed in my potential. It was with those things, and a certain propensity for stubbornness, perseverance, and passion, that I earned the opportunity to study abroad in Ireland. I know that I cannot claim to be the voice or collective manifestation of all study abroad students. Hey, half the time I’m still trying to figure myself out, never mind trying to vouch for countless others. Still, this being said, I do feel that the topic of how studying abroad has changed me as a person, helped me grow, and allowed me to become more marketable as an potential employee is one that will resonate with numerous study abroad enthusiasts like me: students who see the WORLD as their classroom. 1) You’re seriously missing out. Go rent it, or buy it. Right now…and I don’t care that it’s not Christmas anymore. I mean, please finish reading my blog first, but then immediately after that go watch the movie. 2) Here’s the gist of it: George Bailey is a seemingly typical man living during the 1910s-1940s. Following an unfortunate series of events leading to George’s financial ruin (and subsequent contemplation of suicide), our protagonist, guided by Clarence the Angel, is given the unique chance to see what his family, his town, and the world would be like without him. I’m going to go ahead and place myself in the role, or setting rather, of Bedford Falls, and cast my study abroad experience as the famous George Bailey. In this context you, my readers, will get the chance to journey with me as I contemplate what my life would be like without my time studying abroad in Ireland. 1) I wouldn’t be working as a writing consultant because I never would have discovered my love for blogging, article writing, or writing for websites without having been an Education in Ireland Student Ambassador. Though my love of fiction would still be present, my life would be less fulfilled, and my current portfolio virtually non-existent. 2) I wouldn’t have come to the conclusion that, despite some past reservations, I would gain a great deal of happiness through a teaching vocation, and, therefore, I wouldn’t have my current job. It was the presentations I made in my graduate classes at the University of Limerick that allowed the spark for my love of teaching to reignite and stay lit through numerous obstacles. 3) I probably wouldn’t have taken a chance at moving to a different state to seek work. 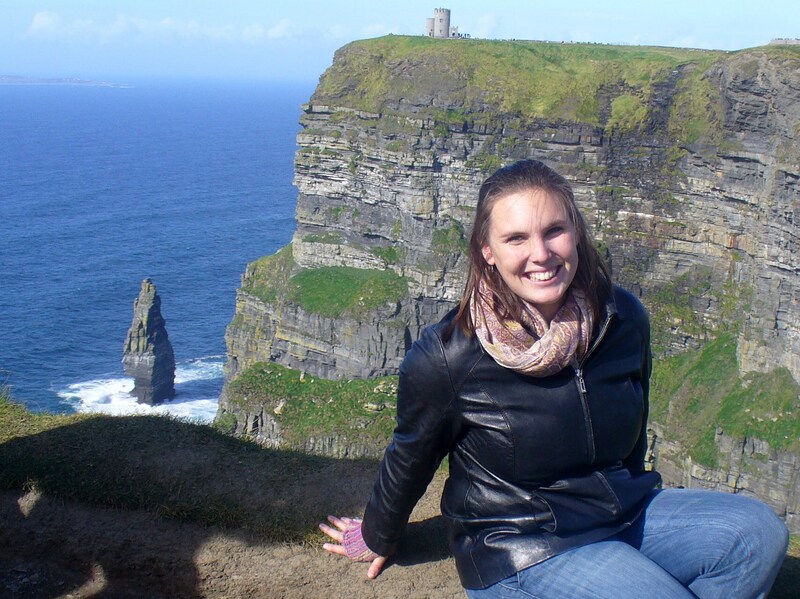 In Ireland, both as a young study abroad student and later as a graduate student, I gained a confidence in myself and my potential that I never had before. After my time abroad, I knew I could adapt to new surroundings. I knew I could make new friends in a strange place. I knew I could navigate life’s ups and downs with grace and aplomb. I knew that I could put trust in myself and my abilities. It was these things, and more, that made all the difference…not only in my life, but in my marketability as an employee. 4) I wouldn’t be as interview savvy. It’s incredible the communication skills one learns when exploring and navigating another country and its culture. These skills are absolutely worth their weight in gold and irreplaceable. 5) I wouldn’t have a very strong belief in myself. To be completely honest with all of you, my readers, I never saw myself as anything special or important until I studied in Ireland. My time in Ireland gave me that confidence and that belief, and it changed my outlook on life and my outlook on myself. Yes, it would have left an awful hole: a hole that would have expanded and left me to exist as a lesser version of myself. So, I ask all of you study abroad skeptics out there, do you really believe that study abroad only favors the privileged? Perhaps, the reverse is true, that we who study abroad become privileged: privileged and blessed to have had our “George Baileys” in our lives.